When an area of the human liver is surgically removed, it is known as the liver resection. The most typical reason for such operative procedures is to eliminate metastases of the liver, i.e., liver cancer. Metastases are essentially cancer-causing cells that have propagated from the liver to another area inside the body. Liver resection surgery is also recommended for benign liver problems. A liver surgery could either be laparoscopic, also known as minimally invasive, or traditional/open. 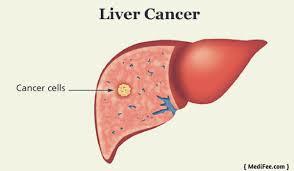 The two major types of surgery for treating early liver cancer are as follows. Removing the cancerous and also the surrounding tissues in one’s liver is called a resection. When a lobe of the patient’s liver is removed, it is known as lobectomy/hemi-hepatectomy. It is performed in patients with HCC or hepatocellular liver cancer. The patient should religiously follow the instructions provided by the caregiver. Note: The figures mentioned above indicate to the five-year survival rate in all the three stages. 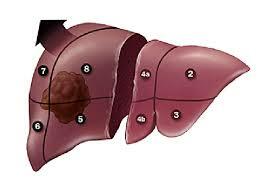 Surgical resection is usually recommended for patients diagnosed with major and minor liver tumors. 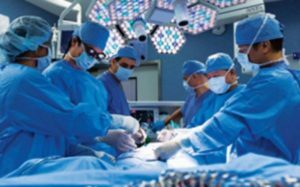 Mortality and morbidity rates have increased for sure, after the recently growing trend of applying newer surgical procedures like laparoscopic liver resection using radio-frequency ablation to transect liver parenchyma. Contact us today to schedule an appointment and get the required care as soon as possible. 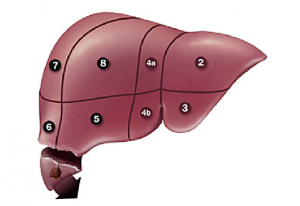 The liver is a vital organ in the body and it performs a number of crucial functions. This organ is responsible for making, breaking, and storing substances. It helps with all sorts of bodily functions such as digestion, blood clotting, and the storage of fat and glucose. This is just part of the functions that this vital organ provides, which is why it is important to keep your liver in the best condition possible. If you do have a medical problem that affects the liver, you may have to undergo liver surgery. The liver is an organ that we cannot live without so any conditions that have a major effect could result in the need for surgery. This can be major surgery and as with all major surgical procedures, it can come with risks. It is important to familiarize yourself with the possible risks so that you are fully prepared for your procedure. Severe bleeding: Because of the amount of blood in the liver, an operation could result in heavy bleeding when the organ is cut. However, expert surgeons have the techniques and skills to minimize on this risk. Leakage of bile: Another risk during a liver operation is the possibility of bile leakage. The liver contains a number of bile ducts and the bile can leak from these once a cut has been made to the surface of the organ. This is a relatively rare occurrence and in most cases it sorts itself out without the need for additional treatment. Liver failure: If you have a section of the liver removed because of conditions such as cancer, the amount of the organ that is left behind may not be sufficient for your body. This could then lead to liver failure. This is one of the most serious possible problems connected to this type of surgery. Infections: As with many major surgical procedures, there is a risk of infection when you have liver surgery. This could include one of a range of infections or even multiple infections such as chest infections, abdominal infections, and infections of the wounds. In most cases, antibiotics are used to treat these. If you would like to know more about the procedure and possible risks of liver surgery, get in touch with us today and speak to the best general surgeon in NYC. 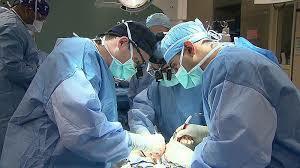 A liver resection is a surgery to remove part of a patient’s liver. The liver is unique among all the interior organs in the human body in that it is capable of regenerating, meaning as much as 50 per cent of the liver can be removed during a resection; so long as the other half is healthy, the organ will regenerate over time. To access the liver, doctors need to make an incision in the patient’s belly. 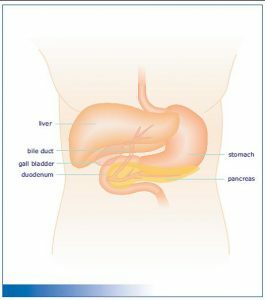 When the right side of a liver is removed, the gallbladder needs to be removed to allow access. It is normal for the patient’s belly to be tender and sore for a little while and painkillers might be prescribed. The pain usually subsides after a few weeks, but during that time patients may also experience nausea, irregular bowel movements, constipation, and diarrhea. A small percentage of patients experience a fever and feel persistently tired, weak, and ill. It is also common for patients to experience numbness around the wound following liver surgery NYC, but this usually wears off over time, although there will always be some numbness where the incision was made and this is perfectly normal. Once you leave the hospital, it is important that you observe certain precautions. Make sure you get plenty of rest. It is during sleep and relaxation that your body does most of its repair work. You might find yourself becoming tired more easily for a little while and you should always rest when you feel tired; try to do some light exercise, such as going for a short walk, every day. Conversely, avoid strenuous exercise until your doctor clears you for it. It is usually a good idea to wait until at least eight weeks, unless your doctor says otherwise, before doing any heavy lifting. You may find that coughing produces a sharp pain around the area of the incision. If so, try holding a pillow over your stomach when you cough to lessen the pain. You should dial 911 if you have any of the following symptoms: losing consciousness, respiratory trouble, sudden chest pain and accompanying shortness of breath, or a severe pain in the belly. These could indicate internal problems and are potentially life-threatening. For further information, drop into one of our liver surgery NYC clinics for a consultation with one of our doctors.